On the outside, Lily Isley's life seems perfect: a wealthy husband, a ritzy gated community in Dallas, and a handsome son, AJ—a decorated marine about to be married to his love, Shea. But when a bridesmaid is murdered in AJ's apartment and he can't be found, Lily's world collapses and a long-held family secret is at risk of exposure. Dru Gallagher's life took a different course. After her ex-husband, suffering from post-traumatic stress, threatened her and her daughter, Shea, with a shotgun, Dru was forced to leave her marriage and forge ahead as a working-class single mom. Now, the anger she sees in war veteran AJ's eyes is heartbreakingly familiar—and makes Dru deeply afraid for her daughter's safety...especially after Shea's best friend and maid of honor is found dead. With a killer on the loose and time running out, Lily and Dru, two very different women, unite in a single goal: to save their precious children from scandal, even from death. But will the mothers' protection be enough, or will the fateful secret they expose—and the truth it reveals—destroy every hope of love? 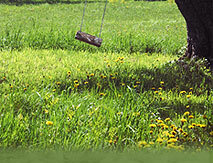 "What would you do if your grown child was implicated in a brutal murder? As evidence mounts against a missing decorated marine, his mother and future mother-in-law, two women who share nothing but the need to protect their adult children, become unlikely allies. Both women have already lost so much, but in the race to uncover the truth and catch a killer, they find courage and compassion. As family secrets, lies, and betrayals are revealed, they also find the strength to take ownership of their own mistakes. A gripping book club read!" "In this engrossing murder mystery.... Sissel's characters are all too real, their harrowing devotion and blind love for their children not far from what every parent feels. As their choices play out, and the consequences and truth unspool, you will be riveted until the very last page." 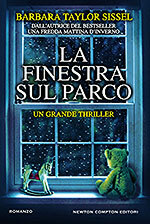 "In The Truth We Bury, Barbara Taylor Sissel ratchets up the suspense.... Rich with beautiful prose, compelling characters, and questions about the imperfect nature of family relationships, this is one of those books that will stay with me for a very long time." "Beautifully written, Sissel's latest work is the perfect emotional storm of family secrets, regret, and revenge. The Truth We Bury will keep you guessing until the final shocking reveal, all while making you wonder which of your own little buried truths could come back to haunt you." 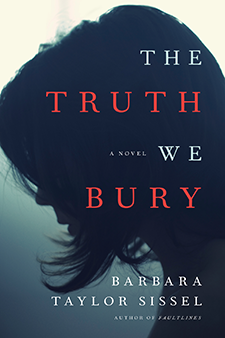 "Compulsively readable and gorgeously written, Barbara Taylor Sissel's The Truth We Bury had me enthralled from the first page to its stunning conclusion. Readers will love the blend of suspense, mystery, and family drama, and book clubs will find much to discuss. This is a novel you won't want to miss." "Part riveting mystery, part moral dilemma, The Truth We Bury is a beautifully written exploration of the depths of a mother's love."